Do you remember the Christmas CAL 2014? It was a spontaneous CAL, I did not plan it in advance it just happened. And I enjoyed it so much! 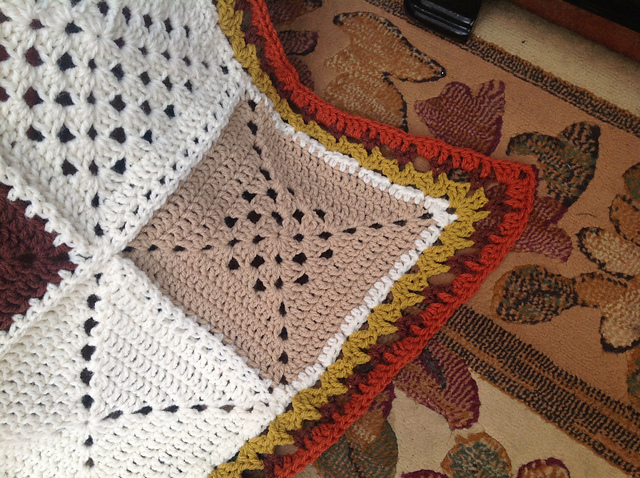 My mind is now turning to blanket CALs again, and I am planning another. But before I share my plans with you I thought it would be good to show you some of the blankets that were made in the last CAL. 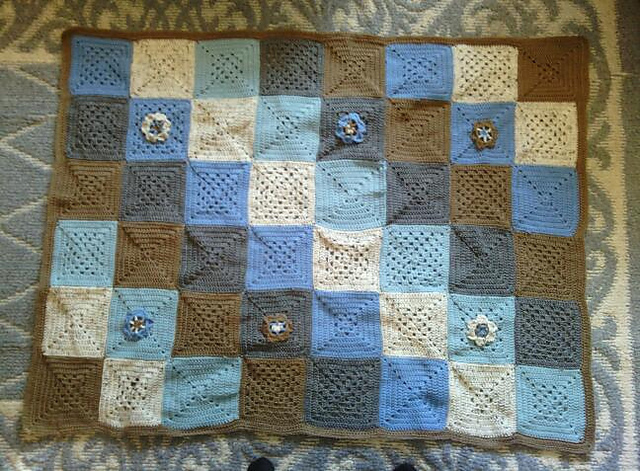 Here is Charita’s blanket. I love the subtle blue colour scheme. I love also the flower embellishments! And this is Nona’s blanket. 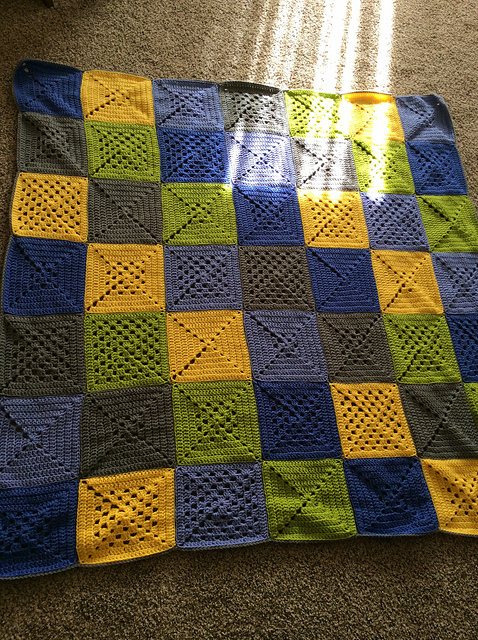 I love the bright zingy colours, and I was astonished to discover this was her first blanket! This is Jen’s blanket. Some lovely soft colours in this one and she made it in only 9 days! Well done Jen! And this one is Vicky’s. She chose lovely autumnal colours. 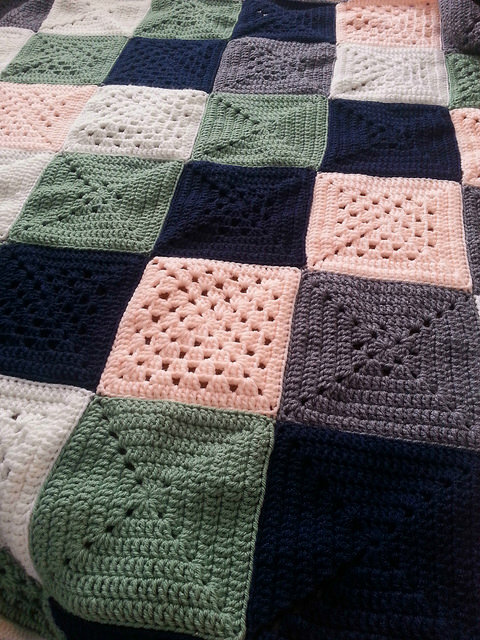 And remember I did a very simple edging on my blanket? Well Vicky chose to do something prettier. Here’s her edge. 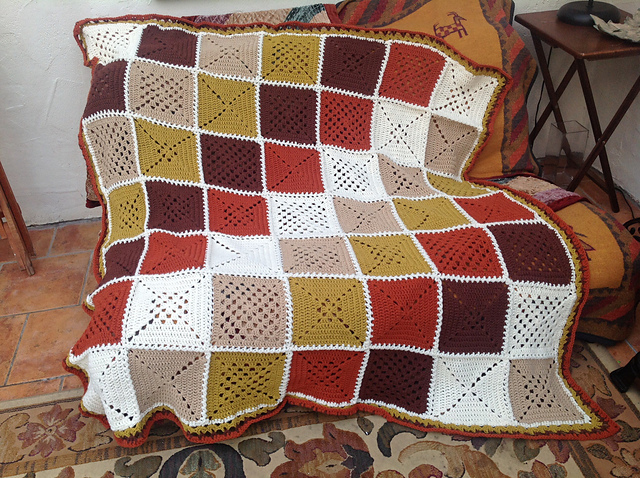 What I love the most about this sort of CAL is, even though we all start with the same design, the colours, layouts and all types of variations mean no-one has an identical blanket. I thoroughly enjoyed seeing everyone’s progress and final blankets. And I look forward to a similar experience soon! Thank you Charita, Nona, Jen and Vicky for letting me share your photos.